Before you use or buy Rozerem, you should know a little more about the drug. The television advertisements make it seem safe. It is believed to be safer than other sleep aids. But, there are still side effects. The generic name is Ramelteon. It comes to us from Takeda Pharmaceuticals North America. It is the first of a new class of sleep aids that do not bind to GABA receptors in the brain. Drugs that bind to GABA receptors reduce anxiety, relax the muscle and can cause short or long-term memory loss. Zolpidem and zaleplon are examples. They are sometimes referred to as “Z” drugs. See also: Sonata, Lunesta and Ambien. The Z drugs are meant to be used on an occasional basis only or for short periods of time. Most are recommended for no more than two weeks of use. They are habit-forming and cause rebound insomnia. Once the drugs are stopped, sleep difficulties return and are actually worsened. The medication Rozerem is non-addictive. 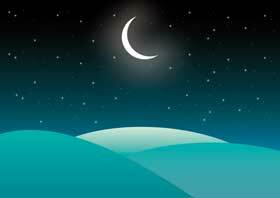 In clinical studies, there have been no withdrawal symptoms or rebound insomnia. All of the other drugs for treating insomnia are recognized as controlled substances with the potential for abuse. Ramelteon seems to have no abuse potential and is a non-scheduled prescription drug in the US. You can only buy Rozerem if you have a prescription. So, you will need to see your doctor first. Before you buy Rozerem there are side effects you should know about. Doctors sometimes fail to mention the risks and side effects. Patients sometimes fail to read the inserts and pamphlets provided by pharmacists. Some of the things that we know about the drug are not included in these informational pamphlets. For starters, the activity of the drug is the same as the hormone melatonin, which is sold as a dietary supplement. It is available over the counter and costs a lot less than Rozarem. To date, there have been no published studies comparing the benefits of melatonin to that of the drug. The hormone is often recommended as a natural sleep aid. Many people find it helpful. It is not accompanied by unwanted side effects. The medication Rozerem has been shown to reduce the amount of time that it takes to fall asleep by 15-20 minutes. On the average, volunteers were able to fall asleep in about 30 minutes as opposed to 45 or 50 minutes. They were able to sleep for about 40 minutes longer, which could be significant to some people making it seem worth it to buy Rozerem. But, the drug seems to be effective for only a few weeks. The study showed that after four weeks, a placebo (inactive substance) was just as effective. Possibly the most concerning side effect of the medication Rozerem is that it causes increased levels of Prolactin in the bloodstream. Prolactin is a hormone that causes the production and flow of breast milk. It could disrupt a woman’s normal menstrual cycles. In men, high blood levels of Prolactin can cause infertility, erectile dysfunction and decreased production of the male hormones. Another concern is that Rozarem causes birth defects and an increased incidence of cancer in laboratory animals. The drug is being suggested for treating circadian rhythm sleep disorders, particularly those that are common in adolescents. Although it is approved for this purpose, the risks to a teenager could easily outweigh the benefits. Obviously, it should be avoided by women that are pregnant and those that wish to become pregnant. It is contraindicated for men suffering from erectile dysfunction or symptoms related to low levels of testosterone. If any negative side effect is experienced, the drug’s use should be discontinued. Those are the things to be aware of before you buy Rozerem. There could be a safer alternative.